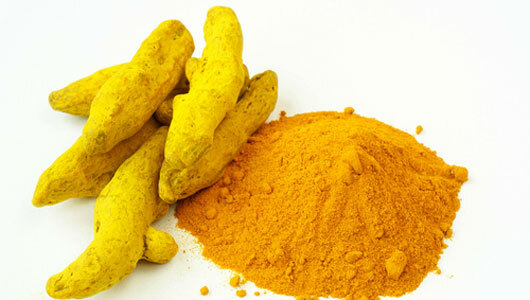 Turmeric powder, a bright yellow powder made by dry grinding of mature turmeric rhizomes. Its part the ginger family and Its Used in all Indian curries. Turmeric powder are used for colouring and flavouring food, for cosmetic purposes and for medicinal properties from ancient culture of India. In addition, Indian Ayurveda and Chinese medicines utilize turmeric to treat infections and inflammations on the inside and outside of the body. It is rich in dietary fibre, iron, potassium, magnesium and vitamin B6. Turmeric powder is widely used to colour and flavour mustard, in varieties of food . It is a component of curry spice mixtures and commonly used in Indian cooking. Turmeric powder enhances the flavour of many foods, including meats, poultry, seafood, eggs, potatoes, rice, lentils, and vegetables. It gives a rich colour and a uniqueflavor to the food. Boosting Immunity –Curcumin has a huge therapeutic value and boosting immunity is one of the most important properties of curcumin. Turmeric powder is an effective home remedy for chronic cough and cold and throat irritations.Usually A pinch of pure turmeric powder taken along with milk. Anti-inflammatory and Anti-oxidant Property against chronic diseases such as cancer, atherosclerosis, and neuro degenerative diseases. Curcumin Protects Against Certain Liver Diseases . Curcumin Helps Promote Weight Loss and reduce the incidence of obesity-related diseases. Turmeric Improves Rheumatoid Arthritis . Treating sprains and swellings with a pinch of turmeric powder, lime and salt is an age-old home remedy practiced throughout India. Place ground turmeric in an airtight container and store in a cool, dark, dry place. Store fresh turmeric root in the refrigerator, wrapped in plastic or sealed in a glass jar up to several days; freeze for longer storage.